Support your PTA and celebrate your child’s birthday with a personalized 11” x 17” poster displayed outside their classroom. This is an extremely cute way for your child to have an entire special month with their classmates celebrating their Birthdays! 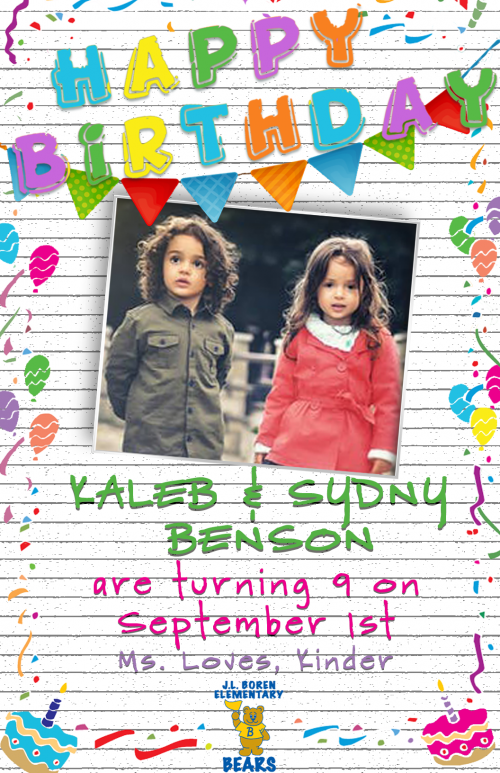 $10 for each Birthday Poster. Students with June/July/August birthdays will be celebrated in May.